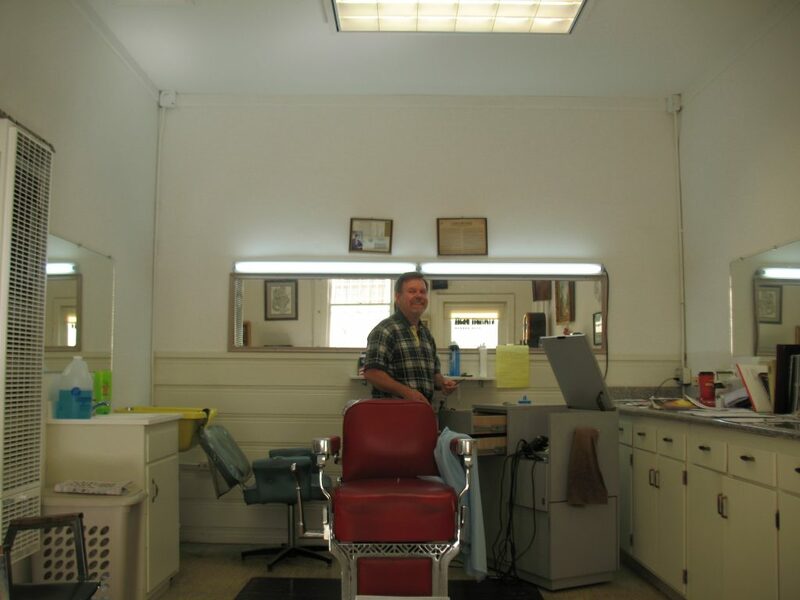 Welcome to Head Hunters Barber Shop, I am Ron, and I have been cutting hair for almost 30 years. Being a good barber is all about matching the hair style to the person – I enjoy helping clients to look just the way they want. Having said that, if you want to try something really different, I am happy to help. And if afterwards you decided that the new look just isn’t “you” – no problem, the hair will grow back after a few weeks, and we can cut it again the way it was before. I specialize in wash-and-cut for men and women. I work with kids as well. While I have a wide variety of cutting implements, I can do scissors-only haircuts if that’s what you wish. Majority of my clients come from Castro Valley and surrounding towns, though I have clients who come from as far away as Twain Harte, and even Ferndale. Call to make an appointment, or simply drop in – my shop is located in the alley between The Chicken on Fire (formerly Jenny’s Cafe) and Rose Motors (used to be Marinello Schools of Beauty). There is parking on the street, and in the back of the building. Head Hunters Barber Shop, Proudly powered by WordPress.